Illinois head coach Brad Underwood reacts to action on the court during the game against Wisconsin at State Farm Center on Wednesday, Jan. 23, 2019. 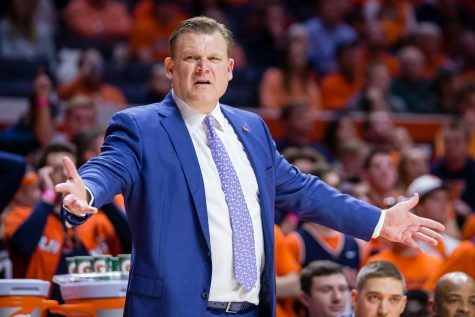 The Illini lost 72-60. 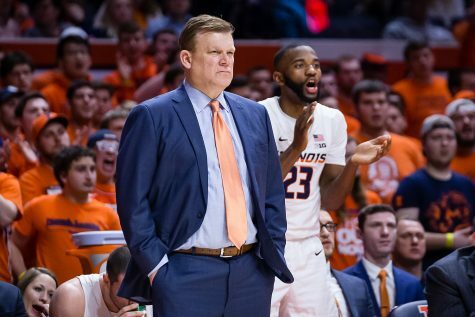 Illinois has won two of its last three games to pull within one Big Ten win of its four-win conference total last season, but with No. 9 Michigan State coming to town on Tuesday night, hitting that mark won’t be easy. 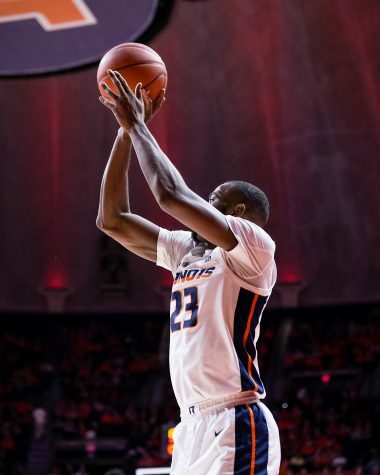 The last time the Illini (7-15, 3-8 Big Ten, T-12th place) defeated at top-ten opponent was on Feb. 7, 2013, when Tyler Griffey flashed wide open to the basket for a buzzer-beating layup to sink No. 1 Indiana. And the Spartans (18-4, 9-2 Big Ten, T-1st place) are coming off two straight losses at Purdue and at home against Indiana over the weekend. 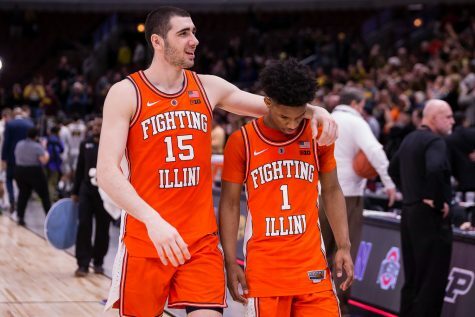 Illinois has shown measured progress over the last month, torching Minnesota at home, knocking off No. 13 Maryland at Madison Square Garden, then on Saturday with a 71-65 win over Nebraska. 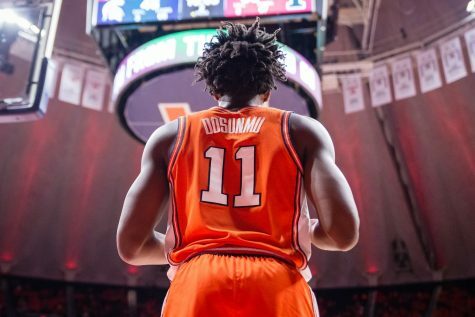 But Michigan State has a loaded roster that includes the likes of superstar guard Cassius Winston, who is averaging 18.8 points per game (fourth in the Big Ten) and 7.3 assists per game (first). Winston also leads the Spartans in three-point percentage (45.4 percent) three’s made (59) and steals per game (1.2). 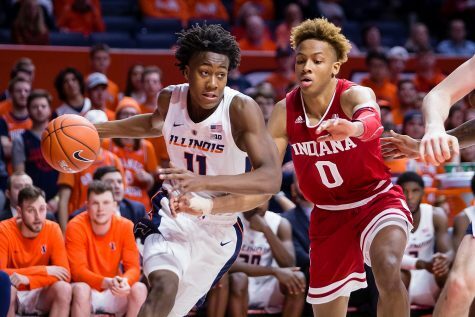 Illinois guards Trent Frazier, Ayo Dosunmu and Andres Feliz will be tasked with limiting the Detroit native’s damage. Winston has scored more than 20 points in four of his last five games (29, 14, 23, 23 and 26). Frazier and Co. have had some success against some of the league’s premier guards; Maryland’s Anthony Cowan scored 18 but did so on 4-of-10 shooting, and Nebraska’s Glynn Watson Jr. went 3-of-12 from the field for six points before fouling out. Underwood believes his team has been much better defensively overall, led by improved play on the perimeter. 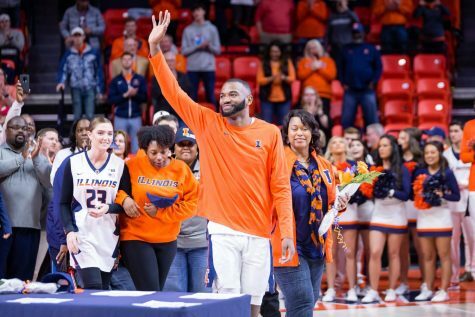 Kenpom rates Illinois as No. 78 in adjusted defensive efficiency, an improvement of 51 places, after finishing No. 121 in the category last season. 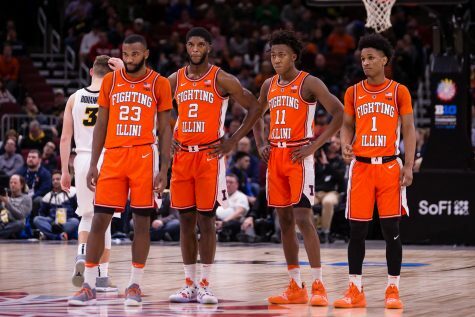 That defensive improvement coincides with the Illini being ranked No. 75 overall by Kenpom despite their 7-15 record. Penn State (7-14, 0-10 Big Ten, 14th place) is the only team with a record under .500 rated above Illinois by Kenmpom, coming in at No. 71. Underwood believes his team is making steady improvements, though the record doesn’t show for much. 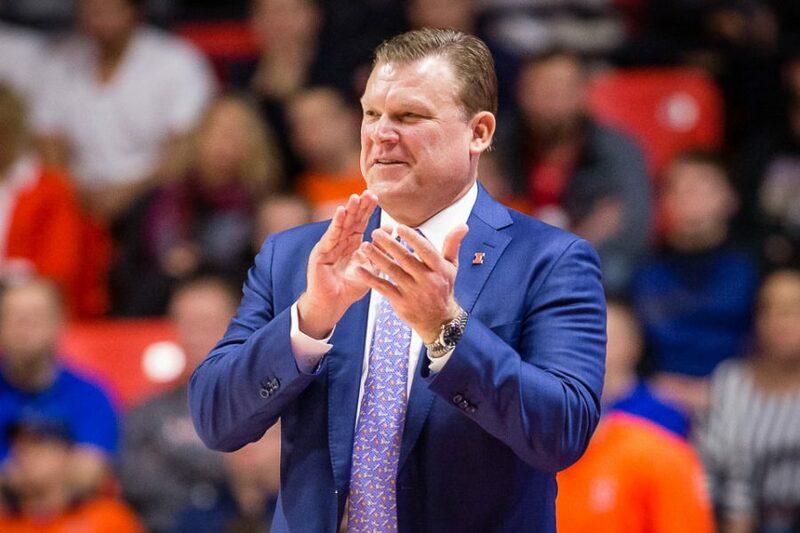 Illinois has played the second-toughest schedule in the country (Kenpom) behind No. 13 Kansas. Despite the team’s difficulties this season, Underwood claimed the locker room has remained a positive place. 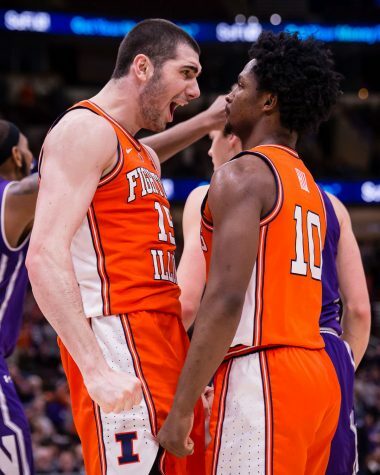 He singled out redshirt-junior Kipper Nichols as a prime example of guys having the right mindset regardless of their or the team’s situation. Nichols saw his playing time whittled down over a five-game scoreless stretch before breaking out for 18 points against Nebraska. Last season, Nichols exploded for 27 points in a loss to Michigan State. 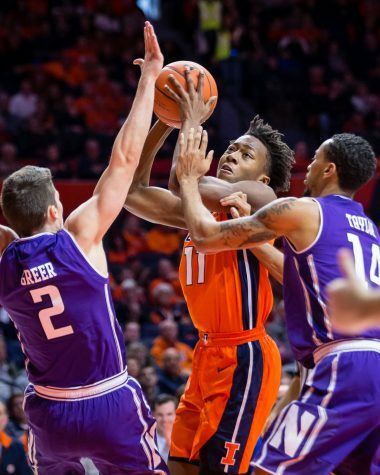 Underwood and the Illini would love nothing more than to see that type of production once again on Tuesday night from the suddenly reignited Nichols.